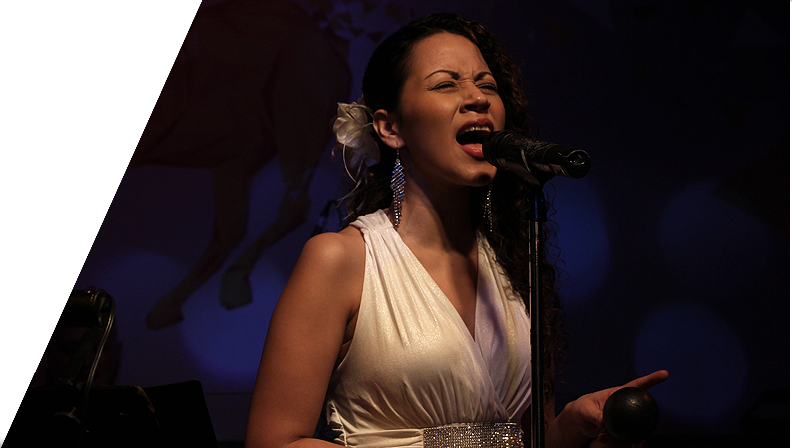 Norma is a beautiful latin artist with the ability to sing, play latin minor percussion and entertain her audience. She is responsible, simple, enthusiastic and cheerful person who studied music in Colombia in the National School of Arts in Valle del Cauca. In 2004 She began her musical career working with national bands around Colombia, and 3 years later with International bands around Asia; playing not only the beautiful latin music but jazz, country, reggae, blues, bossa nova and international pop as well.